At Natural Cosmetics, we presents the combination of Time tested, age old formula of natural goodness of ayurvedic herbs founded on the principle of natural 'care & cure' for your body, skin and hair care needs of today. 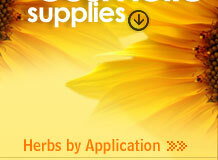 We have the entire gamut of pure herbs known by their common names. We are equipped with a state of the art infrastructure that combines all kinds of wherewithal to facilitate the complete set of activities to ensure superlative quality of organic ayurvedic herbs and experiments for novel as well as customized formulations. To refine the quality of our products, we constantly keep the entire process of preparation under the scanner of the experts. We have highly qualified and specialized experts with keen and extensive knowledge of pure organic herbs and herbal matters. We have the entire range of apparatus, in our laboratories, to pay attention to each and every aspect of the herbs as they undergo the preparatory process. The set of apparatus is regularly checked by the lab keepers to ensure proper maintenance of their efficiency. Our sprawling laboratories house the latest collection of apparatus. Some of the apparatus have been imported from abroad, while the rest has been procured from the domestic market. Apart from modern apparatus, our laboratories also posses special arrangements to regulate the temperature in keeping with the requirements. We offer a range customized herbal formulations, by mixing and matching different herbal parts, to provide you with efficacious remedy that is minutely and specifically tailored to your need. Our infrastructural facilities allow us to adopt Good Manufacturing Practice (GMP). At Natural Cosmetics, it means the pursuit of excellence. It is not restricted to manufacturing and the factory floor alone. It extends to the entire process, from manufacturing to shipping to providing the individual customer the best that Ayurvedic medicine has to offer. From the basic raw material to the quality end product GMP is interrelated closely and practised by every employee. Facilities : Layout and construction of the plant, lighting, ventilation, air filtration, air heating and cooling, plumbing sewage and refuse, sanitation, washing and toilet facilities. Herbal formulation development : Pre-formulation, herbal stability evaluation, detailed specifications of various inputs like raw materials and packing materials. Good production management practices : Selection and validation of equipment, detailed documentation and preparation of standard operating procedures. Good maintenance practices : Proper layout of equipment, spares maintenance, equipment maintenance and preventive maintenance. Good control laboratory practices : Analysis and testing procedures, standardization and sampling plans, etc. Good distribution practices : Proper storage conditions and appropriate transportation.